iHeartRadio is more than an online radio. It is a free, complete digital service from Clear Channel Management Services. There are over 1500 stations to choose from. You can search stations by format, zip or state. One of its nicest features is you can build a custom station based on songs or artists. You can also review your �likes� and history, read song lyrics and get information about the songwriter. Your favorite stations can be shared, including the ones you make. 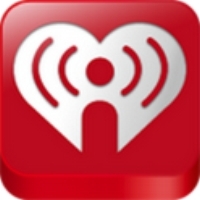 iHeartRadio�s Account settings lets you return to the last setting you were in. Parents have the option of restricting access to objectionable content via Custom Radio. After you have �liked� iHeartRadio, the program will offer suggestions for the user. You can listen to these or create a new station. Thanks to Facebook integration, you�ll be able to post comments about the songs being played on your custom station. You can also check out what your friends are listening to. As can be expected, music genre choices are vast; rock, urban, country, pop, etc are all available. In the mobile version, you just press the �scan� button to browse stations. With your smartphone, creating custom stations is easy. When you choose an artist, the station will pick other artists who sound just like them. Their catalog includes hundreds of thousands of artists and millions of songs. Its Discovery Tuner gives you control over the content.